When a chef who's been awarded seven Michelin stars across just three restaurants decides to set up in London, the food community sits up and takes notice. The chef in question, Yoshihiro Murata, is widely credited with playing a bigger role in bringing authentic Japanese cooking to Europe than anyone else, and his three restaurants – Kikunoi Honten in Kyoto, which holds three stars, and Kikunoi Roan and Kikunoi Akasaka, in Kyoto and Tokyo respectively, which have two apiece – are firmly established as international eating destinations. This isn't the first time Murata has set up in London, mind. 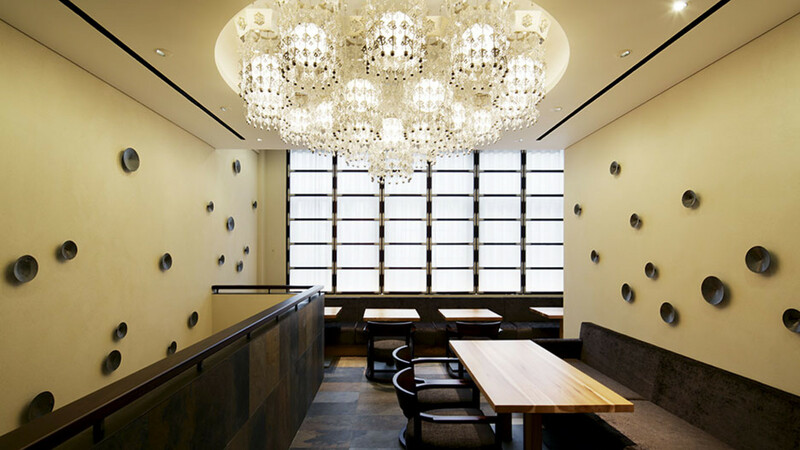 The first was a couple of years ago at the ill-fated Chrysan, a Broadgate restaurant launched in partnership with the Hakkasan Group, which polarised critics and closed its doors for good less than a year after it opened them. 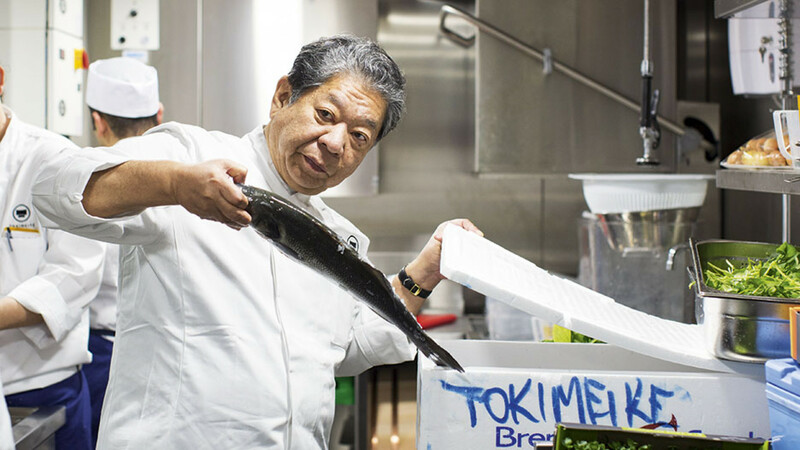 This time, though, it's different: the newly opened Tokimeite, launched in collaboration with Japanese farming cooperative Zen-Noh, promises to match his restaurants in Japan in its approach and authenticity. With classic Japanese decor, a breathtaking sake selection, and sashimi and wagyu beef that are as good as any you'll find in the capital, there's a very definite sense that Tokimeite is out to please the Japanese-food purists. 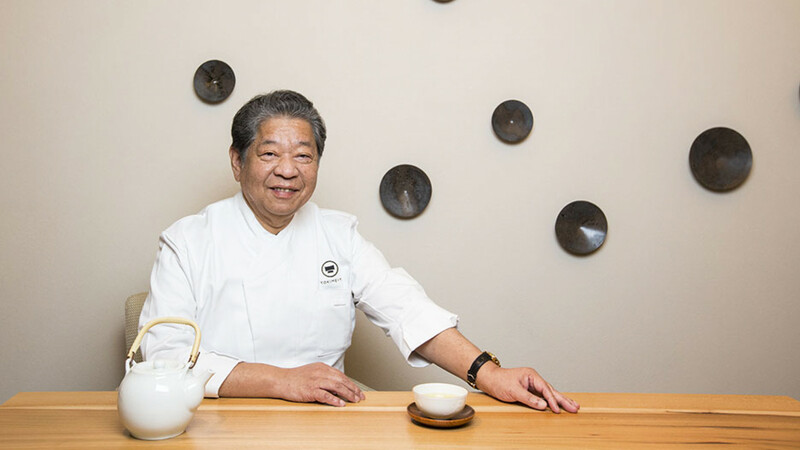 Speaking through a translator, shortly before the restaurant's launch in late November, Murata tells us about the things he's learned in more than four decades of cooking, what he's doing differently this time around, and what the opening means for a cuisine that's more popular than ever. Why did you decide to leave Japan for Europe when you were a young chef, and was that quite a rare thing for someone to do at the time? Europe at that time felt very, very far away from Japan, and I had a very strong curiosity to learn something new. 44 years ago, when I first decided to go abroad, it was before the economy of Japan was healthy. At that time, if someone was travelling to Europe, all of their relatives came to say goodbye to them – I can't believe this year I travelled to Europe twice a month. When I arrived in France, I discovered that no one had the correct information about Japan, or the Japanese. To Europeans, China, Korea and Japan were all the same, with the same languages and the same culture. And, of course, they had no idea what Japanese cuisine was. At that time there were many French people not really treating Japanese cuisine as it should be treated. I decided it should be my mission to be an ambassador of Japanese cuisine to the world. That was my mission in Paris, and here I am now. When I think back, 44 years is a very short period of time to expand and accomplish this mission. It could have taken 100 years, or 150, but in 44 years I've almost achieved it. What do you make of the Japanese food scene in London, particularly the high-end Japanese restaurants? How will Tokimeite fit into that? First of all, we are not really focusing on the high end. This restaurant is meant for everybody who has the intention of trying real Japanese cuisine – that's the positioning of the restaurant. I would like to make this a restaurant where ordinary people who work hard, as a reward once every month or two, come here and recharge, and enjoy, and then go back to their work. Are there any restaurants you think are doing a really good job already, in terms of bringing authentic Japanese cuisine to London? There is no authentic Japanese restaurant that exists in London. They are fusion restaurants – but not authentic. We will be the first truly authentic one in the capital. What attracted you to London, rather than Paris, or New York, or other cosmopolitan cities? London is the centre of Europe, in many aspects; it's the centre of culture as well as business, and that's why it was very important to start here. Everybody goes to France after London. Japanese chefs want to go to France, but I didn't want to open there first. I want to cover the whole world – the United States of America, as well as the Middle East, in places like Dubai. How are you working with the Zen-Noh cooperative, and what does that mean for the food that will be cooked in the restaurant? In Japan, because of many environmental changes, agriculture is facing a genuine crisis. TPP [the Trans-Pacific Partnership, a trade agreement between several Pacific Rim countries including Japan, Singapore, Canada and the US] used to exert a strong duty to protect domestic products, but the United States is leading calls to take it out and make free trade available. In order to improve the situation proactively we have to expand our cuisine, through the Japanese restaurant business, in the proper manner. We need to raise awareness of the high quality of our products, and show that this quality is helping our agricultural industry to be successful all over the world. That was one of my missions. In Japan now, the self-supply ratio is 39%, but in the coming ten years it will be only 19%. As a result of that, after ten years, Japanese kids may have not enough food. So in order to protect our future, I wanted to do something with Zen-Noh – because they represent the farmers – not only in opening up the restaurant, but in terms of thinking about the food supply and the farmers' future. How much produce for the restaurant will be coming from Japan, and what do you think of the produce that we can provide here in the UK? At this restaurant the only pieces we are importing from Japan are wagyu, rice, and some sake. That's it – the rest is local. I don't think it's necessary to take more than that from Japan. I am very happy to be using local produce for the restaurant. Sushi and sashimi are a huge focus at Tokimeite. Where will the restaurant be sourcing its fish from? From Scotland – there are so many good fish there. It seems like there's great fish there, but not in London. They're just there, in Scotland. I don't understand why those great fish in Scotland never come to England! You've had many western chefs come to study under you. What do you think of the chefs who travel to study authentic Japanese food? Heston Blumenthal, when he was 30, came to Japan to learn more about umami, and at that time he was studying under me. René Redzepi also came to America and studied umami under me. 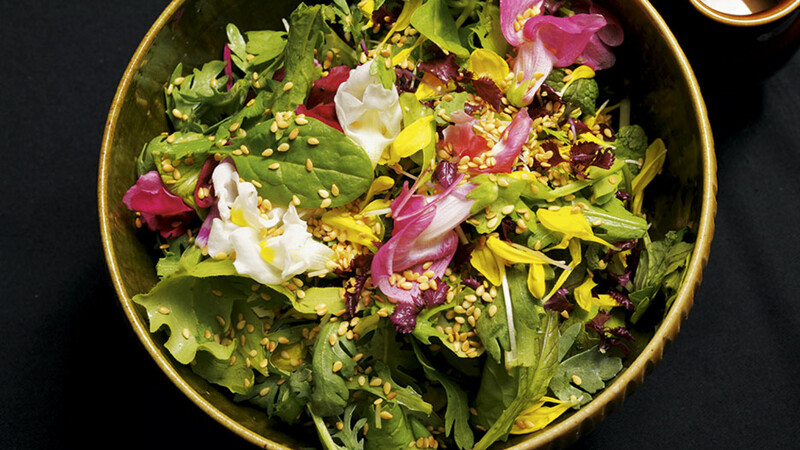 The study of umami results in a strong influence on a chef's own cooking. For example, at Noma, René uses the umami concept very strongly, and never uses cream and butter. So without umami he can't actually cook anything at all. Wall-mounted plates finished in platinum and a bar that bisects the entrance room and carries on into a wall-length mirror – Tokimeite certainly looks more than at home in its prime Mayfair location. I can't claim the authority required to endorse Murata's opinion that this will be the first truly authentic Japanese restaurant to grace the capital, but what I can say is it's surely some of the finest wagyu and sushi to be had here. Sashimi is served in a closed box full of dry ice, glistening pink fish rising from the mist, and it's a thing of beauty – prawn is almost buttery, tuna is lusciously textured, and scallop is so tender you could cut it with a fork. Wagyu, too, gets the royal treatment, in shabu-shabu and nabemono styles – sliced paper-thin in the former and lightly poached in the latter. It’s not cheap, but it’s tasteful, artful and, most importantly, delicious. How much will Tokimeite reflect your restaurants in Japan, and what lessons did you learn from Chrysan? What will you do differently this time? One of the biggest learnings with the experience is selecting the right partner to deal with. At that time the concept of Chrysan was focusing on the high end, and fusion food, rather than authentic cuisine. It was very, very different from here. If a customer comes here and enjoys the cuisine, and is satisfied and happy, then they may travel over to Japan for the higher stage of eating in my Kikunoi restaurants there. Do you think that there are any other chefs who could bring totally authentic Japanese cuisine here? This is really the first experiment – nobody has done this type of authentic Japanese restaurant here before. If the restaurant is successful, my juniors in Kyoto may go out and do similar restaurants all over Japan. It's like I'm now the father of the young chefs in Kyoto – my influence is very strong. Everybody is watching Tokimeite closely, and they may go abroad to do something similar, so this is a very, very important pilot restaurant. Why is this the right time to launch Tokimeite in London? This is a perfect time as a result of Unesco registration [wa-shoku, the traditional Japanese restaurant-style cuisine, has just entered Unesco's intangible cultural heritage list], as well as thinking about the state of the food supply in the future – this is just about the right time to move forward. I would like to be a role model to young chefs, and the first thing I've done in that regard is to help Japanese cuisine to be recognised by Unesco. As a result of that, the second stage was setting up this real, authentic restaurant by myself, because everybody wants to see what my next step will be. That's what I'm focused on – demonstrating my leadership to the young generation of chefs. Yoshihiro Murata's new restaurant, Tokimeite, is open now; tokimeite.com.